Gurpreet Singh Sandhu also feels like the team should try and play away games to test its skills in different conditions. A file image of Indian goalkeeper Gurpreet Singh Sandhu. 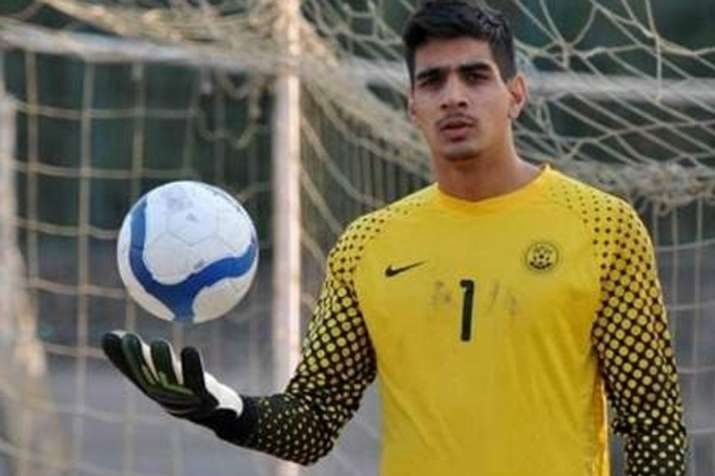 Indian goalkeeper Gurpreet Singh Sandhu feels that the victorious campaign at the Intercontinental Cup has helped the team prepare for the AFC Asian Cup. India defeated Kenya earlier this month to lift the four-nation Intercontinental Cup played in Mumbai. The event also involved New Zealand and Chinese Taipei. "The team as a whole performed very well in the Intercontinental Cup. This tournament helped us a great deal in preparing for the Asian Cup in January next year. We did very well here, and we are confident, but we cannot afford to be complacent," Gurpreet told PTI. But a sterner test lies ahead for Sunil Chhetri and his boys as they have been clubbed with hosts UAE, Bahrain and Thailand for the AFC Asian Cup in January. "Personally speaking, it (Intercontinental Cup) was a good test for me mentally and physically. It always helps when you get to play good sides in a cup tournament at home," the 26-year-old custodian said. What does taking part in the AFC Asian Cup mean to Gurpreet and the Indian team? "It's like the World Cup for us, this is the stage where every Asian player would want to play once in their career and we as players have this opportunity." Gurpreet also feels like the team should try and play away games to test its skills in different conditions. "Yes, for sure that's what every single team in the world does, they play home and away and we should also try to play away games to test ourselves in different conditions," he said. Gurpreet says skipper Sunil Chhetri has asked everyone to be the best they can be for the AFC Asian Cup. "It's a privilege to have him (Chhetri) in the team. He guides everyone in the right direction and asks everyone to be the best they can be for the Asian Cup because nothing less than that will work. Sunil Chhetri is an Indian football legend. He is an inspiration to all the young players in the country." Gurpreet is the first-choice custodian for the team but he doesn't want to take his position for granted. "I've never taken my position for granted. I've worked hard to get here, and I am trying to put in double the effort to stay because if I don't someone else will." The All India Football Federation set to organize games with China and Saudi Arabia and Gurpreet says it will be a good opportunity for the team. "That'll be a great opportunity for us to play some good competitive games against teams who are going to also participate in the Asian Cup," he signed off.